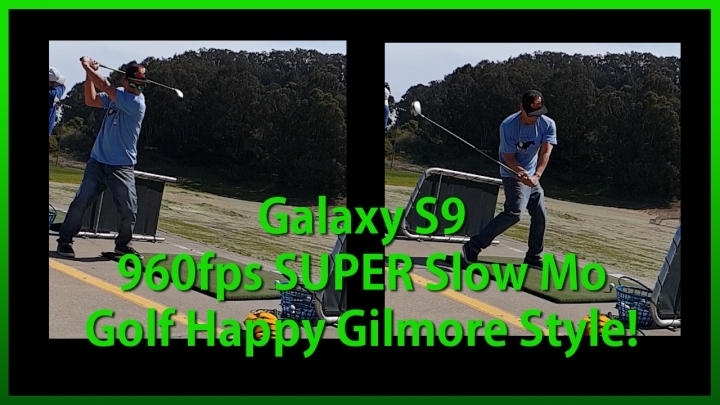 AMAZING Galaxy S9 960fps SUPER Slow Motion Golf Happy Gilmore Style! Here’s Galaxy S9 960fps SUPER slow motion me doing some golf trick shots in happy gilmore style. While the Galaxy S9 super slow motion mode is not perfect as it only auto-captures when things in its square box is moving, it does quite well in capturing super slow motion actions if you don’t have someone else to take the video for you. I only wish the square box could be set to custom locations and it would make it perfect. Next story Comcast/Xfinity Gigabit Home Internet Speed Test & Review! Previous story Is iPhone X Faster Than Galaxy S9?